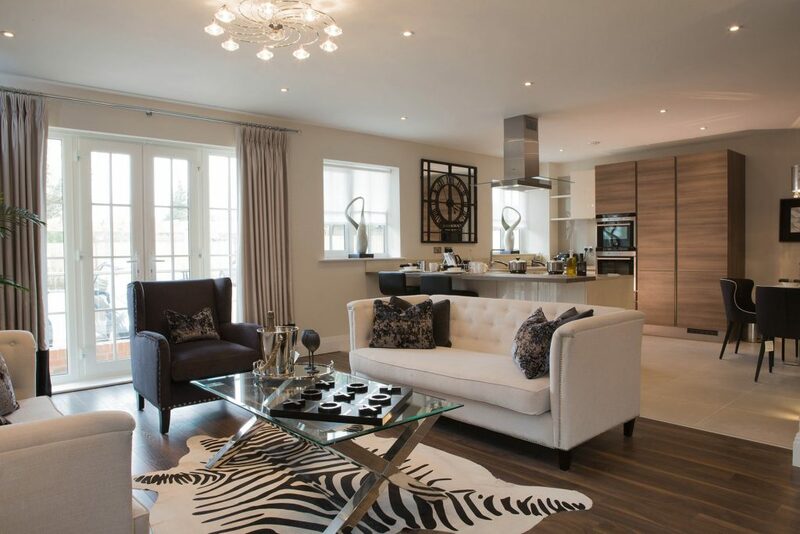 Set within landscaped communal grounds and behind a gated entrance, Saxby Court is an exclusive luxury development of just six 2 bedroom and three 3 bedroom apartments created by Giles Homes. 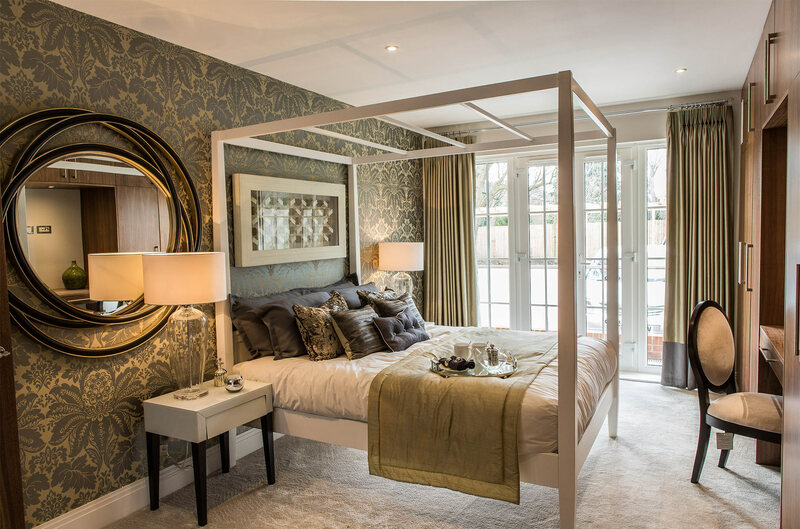 Situated on Aldenham Road, and conveniently located a few minutes from Bushey station and Watford’s town centre facilities, it is set to become one of Bushey’s most desirable places to live. Positioned over three floors, this stylish development of nine apartments features high specification fixtures and finishes, while its external design compliments the existing character of the area. 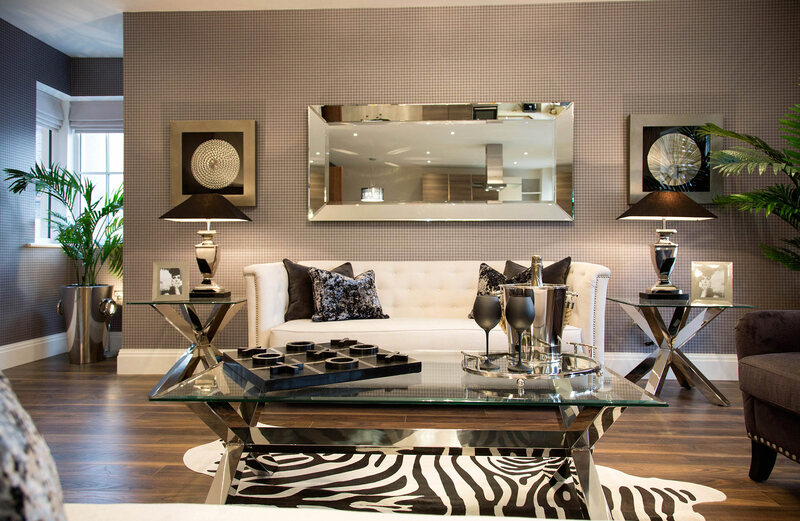 Careful planning and attention to detail has resulted in spacious and light apartments with a contemporary flair. 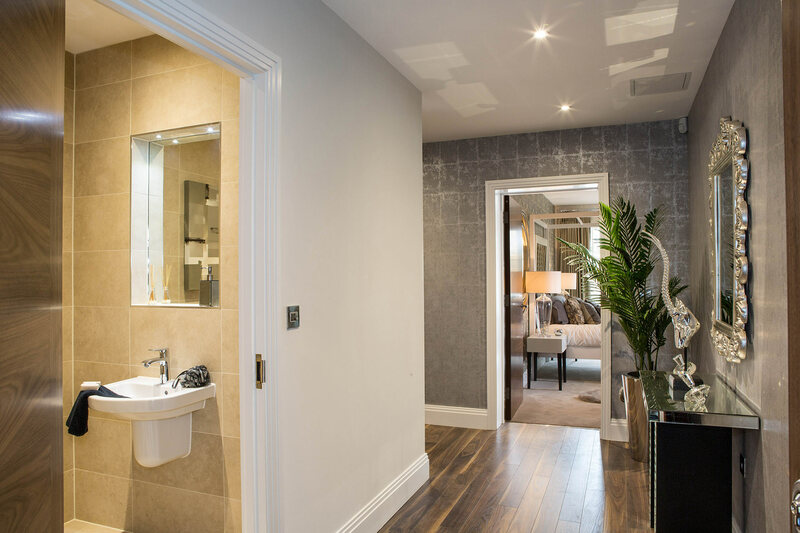 The nine apartments feature modern fitted kitchens with integrated appliances, contemporary sanitaryware to the fully tiled bathrooms and en-suites, high quality carpets and flooring throughout, as well as fitted wardrobes to the bedrooms. 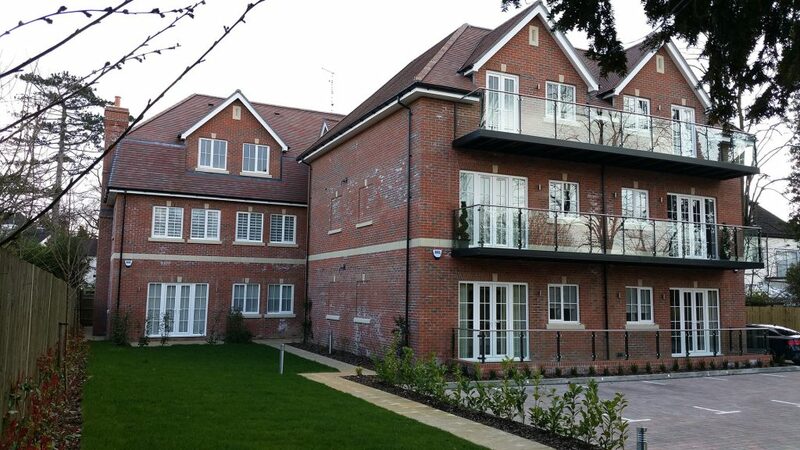 Each ground floor property has a private patio while the upper floor apartments, which are served by a lift, have large private balconies. Allocated parking spaces within the secure grounds are an additional benefit. 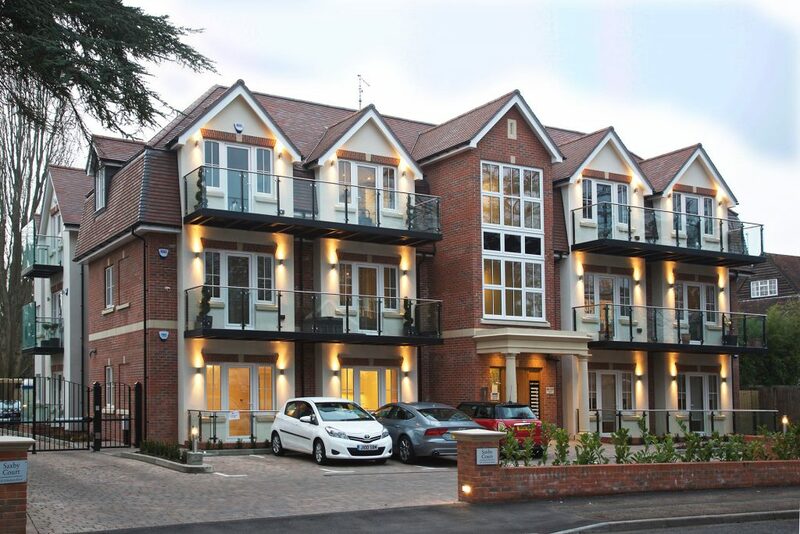 Saxby Court is set in a prestigious neighbourhood within Bushey – a small residential town in the Hertsmere borough of Hertfordshire. 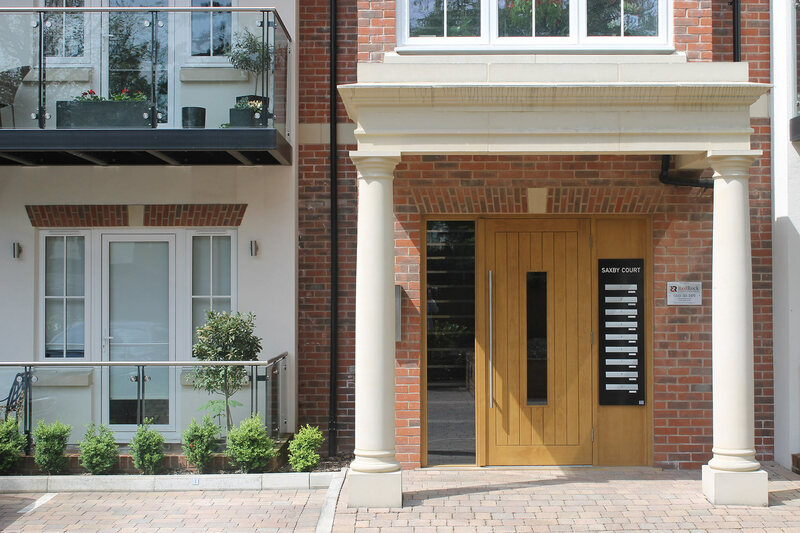 With Watford on its doorstep and the West End and City a short train ride away, the area still manages to retain a village feel. 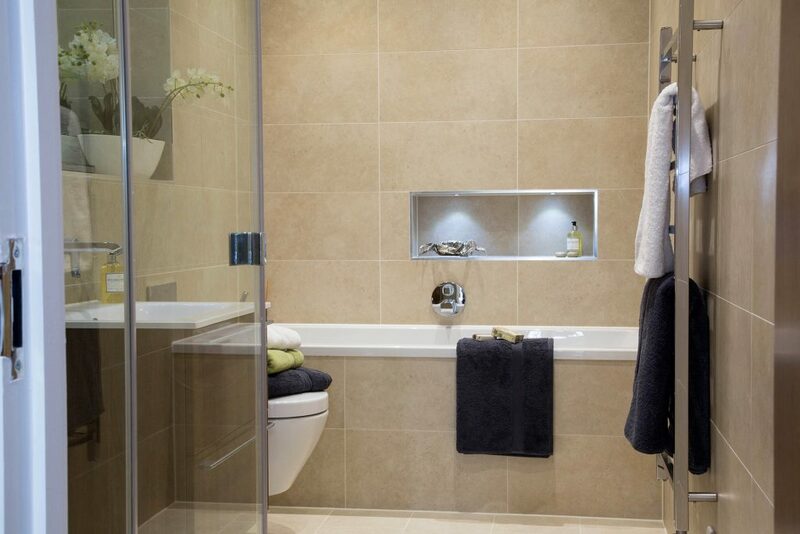 Located just as London meets the open countryside, its residents have access to green open spaces and woodland. 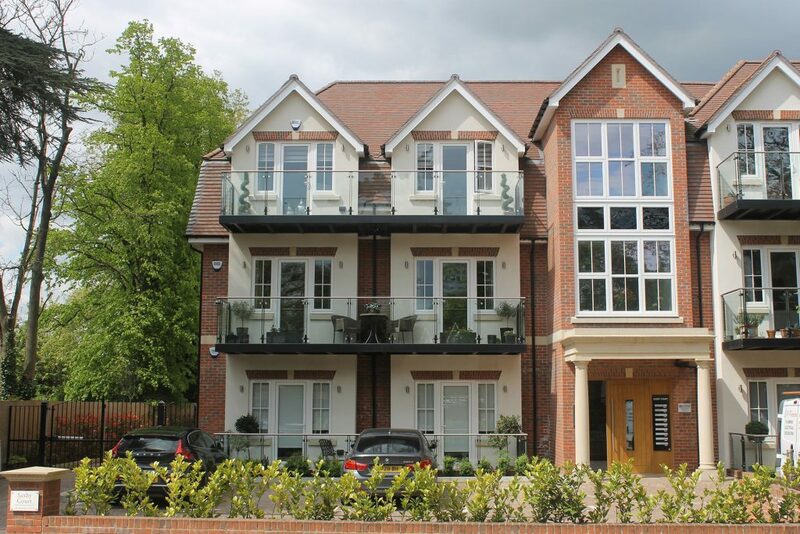 Set to become one of the area’s most desirable addresses, Saxby Court is closely located to renowned schools including the nationally regarded Purcell School for gifted young musicians, Harrow School, Merchant Taylor’s, Aldenham, and North London Collegiate. as well as a local market. Numerous sports amenities are within easy reach including Bushey Country Club, Hartsbourne Golf and Country Club, and David Lloyd Leisure Health and Fitness Club. 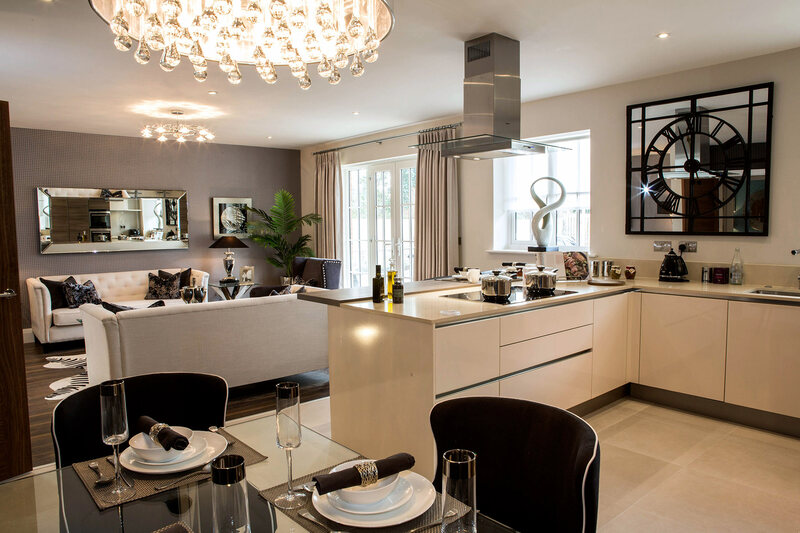 Residents will be well placed to benefit from excellent transport links via the M1 – which is located less than 2 miles away – making the development easily accessible to surrounding areas.